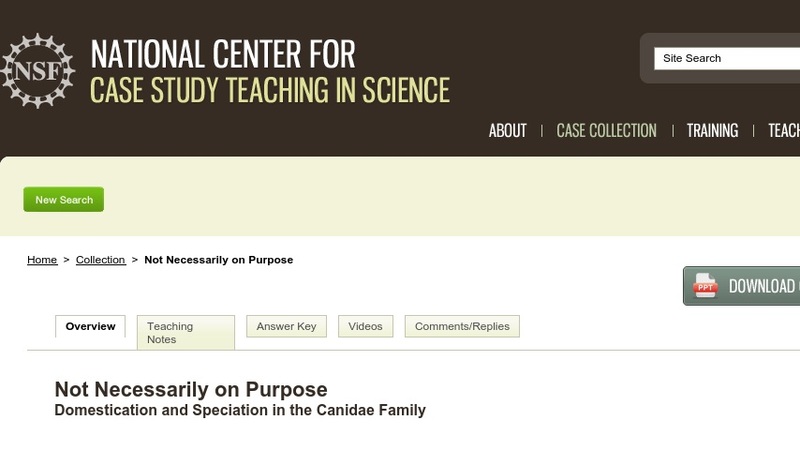 In this “clicker case,” students learn about evolution, speciation, and natural selection as well as interpret phylogenies as they apply to the Canidae family. The case is based on the idea that the domestication of the dog was not likely an intentional event in human history. Rather, the dog as we know it was probably a result of natural selection events. Later intentional selective breeding events formed the many different breeds of dog. The case is designed for an introductory biology course in which personal response systems, or “clickers,” are used. It consists of a series of PowerPoint slides (~2MB) punctuated by multiple-choice questions that students respond to using their clickers. It could be adapted for use without these technologies.